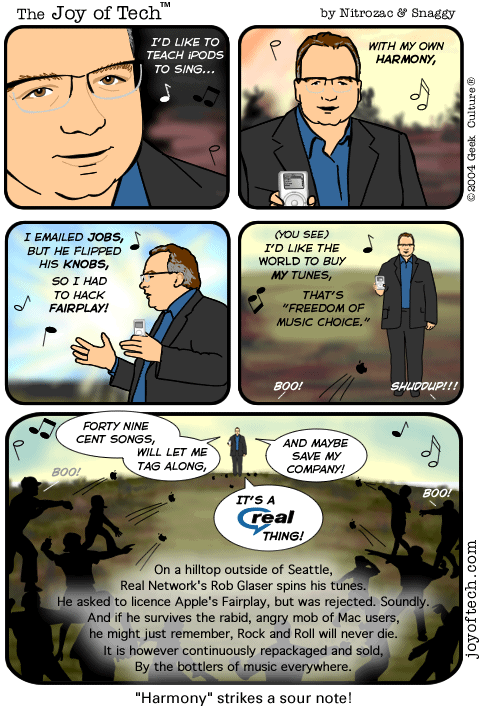 What would you toss at RealNetworks CEO Rob Glaser? An apple with a bite out of it. No time to toss, I'm too busy buying iTunes. DNM shows us his new Kitty, ... Alan! asks what's your Favourite coding music, ... Snaggy forwards How eight pixels cost Microsoft millions , ... Raptorgirl needs some Virus Help?, ... and Spoongirl is back with a :D Heya!